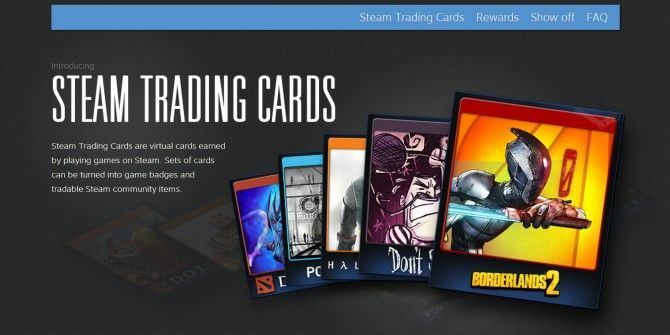 Back in June, Steam’s Trading Card system went live to the general public. 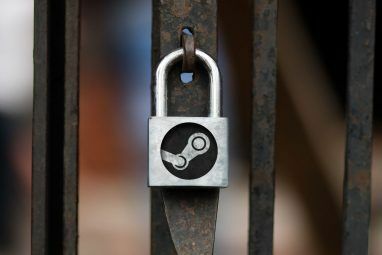 You may have accumulated some cards in your inventory just by playing your favorite games, or buying new ones during Steam’s various seasonal sales. The system links select games with a collection of digital cards (usually 5 to 15 of them) which, if assembled as a set, can be exchanged for a badge, Steam experience points, profile backgrounds, and chat emotes. Even if you have no interest whatsoever in customizing your profile or bragging about your Steam level, you can offset your gaming expenses by selling your collection on Steam’s Market. Well, you can if you play your cards right anyway. Read on to learn how trading cards work, and how you can use them to get what you really want. To get into selling and trading cards, you’ll need to build up a healthy inventory so that you have the ones that other players want. Figure out which of your games offer card collections by hovering over your screen name in Steam, and scrolling down to Badges in the drop down. Any game with a badge had a card collection. Then, see if you have any drops left in each of your games. If you do, it means you can earn more cards for that game just by leaving it running. You don’t even actually have to play the game in question if you don’t want to. Just boot it up and leave it running minimized until you’ve gotten all of your drops if you like. Getting all your drops in a particular game makes you eligible for its randomly distributed booster packs, so each game you clear improves your chance of getting more cards for free. If you run out of games that drop trading cards, you can find the best deals on more with these resources 5 Ways To Make Sure You Get The Best Deals On Steam Games 5 Ways To Make Sure You Get The Best Deals On Steam Games Steam is known for being super convenient for managing one’s video game library, and it’s also useful in a few other ways, but did you know that with a bit of effort you can obtain... Read More . Even if you collect all of your drops from every game you own, you might not have enough cards that people want. If that’s the case, you’re going to need to trade in a way that increases the size of your collection. The good news is, that’s not as hard as it sounds. Many players aren’t going through the long game with their cards. They’ve decided which badges, backgrounds, and emoticons they want, and they’re all too happy to trade away cards that they won’t be using. This means you can trade with them at a favorable ratio if you have what they want. Every game that has a badge also has a Trading sub-forum for its cards. It’ll be linked on the right side of that game’s Discussions page. 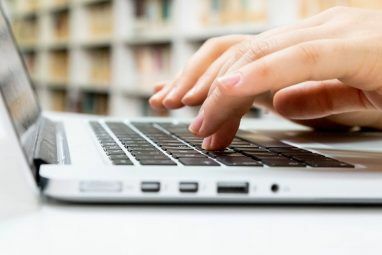 You’ll notice that the community has adopted a topic title pattern that makes it very easy to skim the forum and find the right trading partner. When you post a topic, [H] precedes cards you have for trade, and [W] comes before the ones you want. You don’t even have to name specific cards if you’re just trying to boost your stock. Something like, “[H] Garry’s Mod Cards [W] Any trade 1:2, 2:3, 3:4” works if you want to say you’ll give up your Garry’s Mod cards at the listed ratios. You can always further clarify in the body of the post. Any listing in the Trading forum will also have a link to the user’s Steam inventory. You can browse inventories even when they’re offline, and leave trade proposals for them to answer at their leisure. They’re free to accept, decline, or counter-propose until the two of you break things off or come to an agreement. Since it’s all done asynchronously by leaving offers, you never have to worry that you might interrupt someone mid-game, or be interrupted yourself. Once you have a healthy library of cards, the next thing you need to do is decide what you want to get out of the Steam Trading Card system. There are essentially three things you can turn your cards into. If this is you, you’re in luck. You’ll benefit from a buyer’s market on the vast majority of games, with all but the rarest profile backgrounds and emoticons going for ten cents or less. That’s about the same amount you can get for selling a single card from many games, so you’ll get what you’re looking for without the work of assembling complete sets. Just visit Steam’s Market (found under the Community drop down menu) and search items from your favorite games. There are lots of users trying to sell their trading cards off for a few cents each. Be prepared to be patient if you take this route. You’ll have lots of competition, and you’ll have to sell a large volume of cards to see any appreciable money. You’ll need to undercut the lowest seller when you post your cards to the market if you want them to move quickly. Make sure to pay attention to your inventory of cards, too. When you start getting low, go back to trading at favorable ratios (as described above) to rebuild your stock. Crafting badges to raise your Steam level has several benefits. It awards the backgrounds and emoticons previously mentioned, but that’s not all. It also increases the likelihood of getting random boosters for your eligible games, raises the cap on your friend list, and it gives you custom showcases to show off your favorite parts of your Steam profile. If you don’t care which badges you get, and only care about how high you can make your level, the favorable ratio trades (again, above) are your best tactic. The more cards you get, the more likely you are to complete sets, and you can always offer more equal trades to finish off near-complete sets. Rumor has it Valve is brainstorming even more perks for users with high Steam levels, so it never hurts to bump it up a little more. It’s worth noting that if you really don’t want to make any effort with your trading cards to turn them into something else, they’re still more than just the little thumbnail image you see in your inventory. Head over to your Badge menu sometime and click the cards in your collection to see high resolution concept art and game images if you just want to enjoy them for what they are. After all, as with any collectible, the value is in the eye of the beholder. Are you enjoying Steam’s trading card system, or do you ignore it entirely? Tell us what you think in the comments. Are you more of a game collector than a card collector? Get more out of your extensive Steam library with Enhanced Steam 6 Ways Enhanced Steam Makes Valve's Steam Store Even Better 6 Ways Enhanced Steam Makes Valve's Steam Store Even Better Enhanced Steam is a browser extension for Google Chrome, Mozilla Firefox, and Opera that enhances the Steam website when you visit it in your browser. 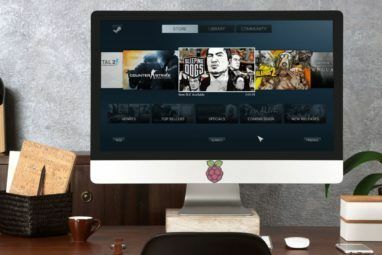 Read More and these other great tools 6 Useful Tools For Getting More Out Of Steam Games 6 Useful Tools For Getting More Out Of Steam Games Steam is packed with a variety of useful features you may not be aware of, but third-party developers have made utilities and websites that add even more features to Steam. From moving installed games to... Read More . Glad you enjoyed it! I have yet to have any packs drop for me. Hopefully that will change as I clear those drops on some of my games. I used to ignore the Steam cards, but then realized people out there were really interested in collecting and trading badges. Although I had a pretty low level, I'd also get 3 card packs from time to time, and it was pretty neat. Thanks for the article, it'll help me get more out of my cards.